Moissanite is silicon carbide and is used in jewellery, it is called Moissanite after the jewel's discoverer Dr. Henri Moissan. Moissanite is somewhat similar to diamond in several important respects: it is transparent and hard (9, although a patent states 8.5-9.0, on the Mohs scale compared to 10 for diamond), with a refractive index between 2.65 and 2.69 (compared to 2.42 for diamond). 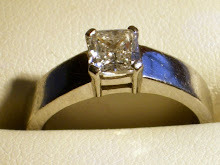 Moissanite is somewhat harder than common cubic zirconium. Unlike diamond, Moissanite is strongly birefringent. 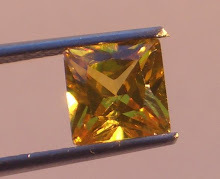 This quality is desirable in some optical applications, but not in gemstones. 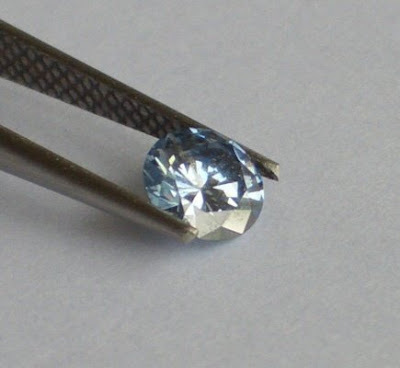 For this reason, Moissanite jewels are cut along the optic axis of the crystal to minimize birefringent effects. It is lighter (density 3.22 vs. 3.56), and much more resistant to heat. This results in a stone of higher lustre, sharper facets and good resilience. Loose moissanite stones may be placed directly into ring moulds; unlike diamond, which burns at 800 °C, moissanite remains undamaged by temperatures up to twice the 900 °C melting point of 18k gold. In 1998, Charles & Colvard introduced jewel-quality synthetic silicon carbide to the market under the name "moissanite". 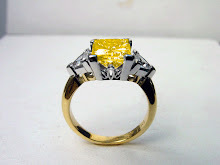 This gemstone possesses superior fire and brilliance to diamonds. 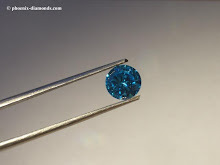 Upon introduction, some jewellers misidentified moissanite as diamond. Moissanite's thermal conductivity is very close to that of diamond, rendering useless the older thermal testers that they relied upon. 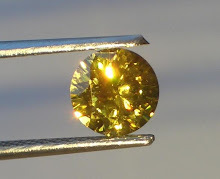 Moissanite has a slightly higher index of refraction (brilliance) and much greater dispersion (fire) than diamond, as it shows many more "flashes" of colour than a diamond. Unlike cubic zirconia and other diamond simulants, moissanite does not cloud over time, and is extremely durable. 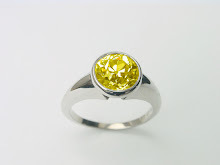 Once its properties are known, moissanite is easy to distinguish from diamond, as it is doubly refractive and has a very slight green, yellow, or grey fluorescence under ultraviolet light. 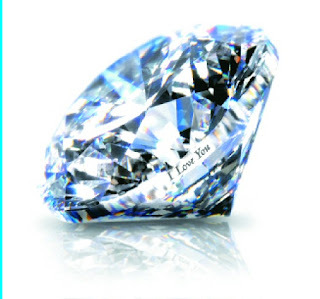 Because the brilliance of the moissanite helps to cancel the perceived colour, cuts with higher brilliance tend to have a much "whiter appearance" (i.e., round brilliant, square brilliant, and cushion cut) versus cuts that have a lower refractive index such as the marquise, radiant and especially the pear-shaped cut. 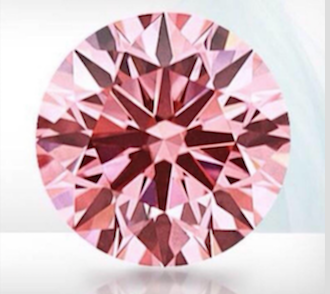 The colour is often defined as "near colourless" which on the diamond colour scale ranges from G through J.
Charles & Colvard markets moissanite primarily to self-purchasing women. However, moissanite engagement rings, eternity bands and circle pendants have become popular among value-conscious consumers. 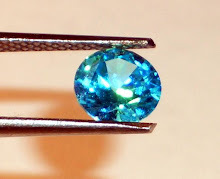 For example, in the trade, a 1-carat (200 mg) moissanite gem sells for about $500 (2007 USD), while a diamond of similar size and colour typically sells for $4500 or more. Yeh, I know it sound bizarre, but there is probably a conference and exhibition for almost every single subject on the planet and death, funerals, cremations and the like are no exception. We'll be exhibiting there on the 12th of November to the 14th, I hope anyone reading this will come to the event and view our Memorial Diamonds at first hand. 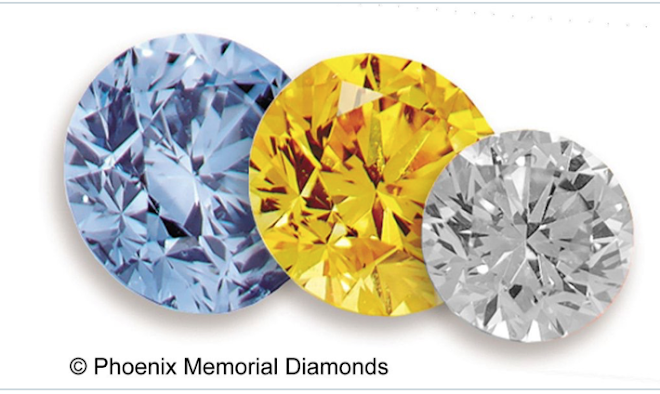 We will be showing for the first time our new BLUE DIAMOND range - admittedly a lot more expensive than the Canary Yellows and using more ashes, but the Blue Diamonds are stunning. In the near future, we will be installing a new laser inscriber to mark all the new laboratory created range and if required - special messages. Another hand made, truly special urn by John Ditchfield , cream white opaque and seems to have a gold inlaid, a small urn for a pet or ashes of a baby. This is an amazing creation from John Ditchfield, a world class glass artist. 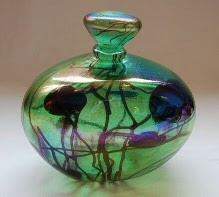 The colours are spectacular and the urn is totally unique and hand made, signed and numbered. We are pleased to announce that we can now offer custom made and absolutely unique urns by John Ditchfield. 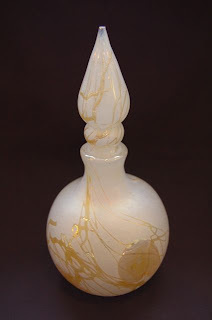 John is very well known in glass blowing circles and his work is collected all over the world. With John's permission, we intend to write a short introduction and show more of his unusual designs.